Energy practitioners can be quite solitary beings. This may be a result of choosing the path less traveled or simply that the focus has always been on what is beyond our physical realm. And as a light-worker, you probably also have empathic abilities which can make being around people interesting at the best of times and suffocated at the worst. Although your ideal way to relax is likely quiet in meditation, is there a part of you that craves to connect? variety of settings and understand how even in a building filled with people, it can feel as though you are on your own. I am here to tell you that you do have people who are walking this path with you. 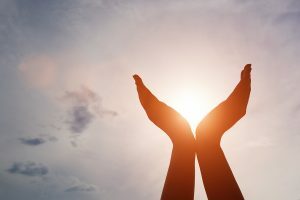 A reason this Reiki association was created was to provide practitioners with the opportunity to connect and learn from each other. This association will help you so that you can learn from and with other like-minded practitioners. A martial arts Sensei will tell you that in order to become skilled you need three partners. The first is someone with more experience and skill than you presently have. When working with them you will be able to observe their behavior and ask questions that they will have the knowledge to answer. You do not know what you do not know until you know it. They will see the areas you are weak in and will help you strengthen them. They will have the egoic and physical ability to pull their strikes so you can have a match that teaches you without defeating you. Our association will not only provide you with training that will help you build a strong practice, but also provide you with resources to satisfy your deeply curious nature. There are also seasoned practitioners who can provide you with gentle guidance as you need it. The second partner you need to have is a person who matches your level of skill and experience. Being evenly matched will give you the confidence to try the new techniques you have observed your more skilled partner performing. In our active community, you will find members who are in the same place you are in your practice, whether you are focused on personal growth, just beginning a professional practice or are ready to expand. The third partner you need to have is a person with less experience and skill than you possess. Although this may seem counter-intuitive, working with someone less skilled than you encourages you to slow down, be more precise and be able to provide instruction which indicates a high level of understanding of the skills you are teaching. Here you will be able to give back to the community by sharing the wisdom and experience that you have with other practitioners who will benefit from it. In our lives we have a tendency to be attracted to partners at the same level or energetic frequency that we are. It is usually a comfortable relationship with a comrade. We need to keep in mind that others with lower and higher frequencies are equally important to have with us on our journey. Being a part of a respectful community of like-minded people who share the goals of being and bringing light and love to the world will help you to grow not only as a Reiki practitioner, but as a person as well.